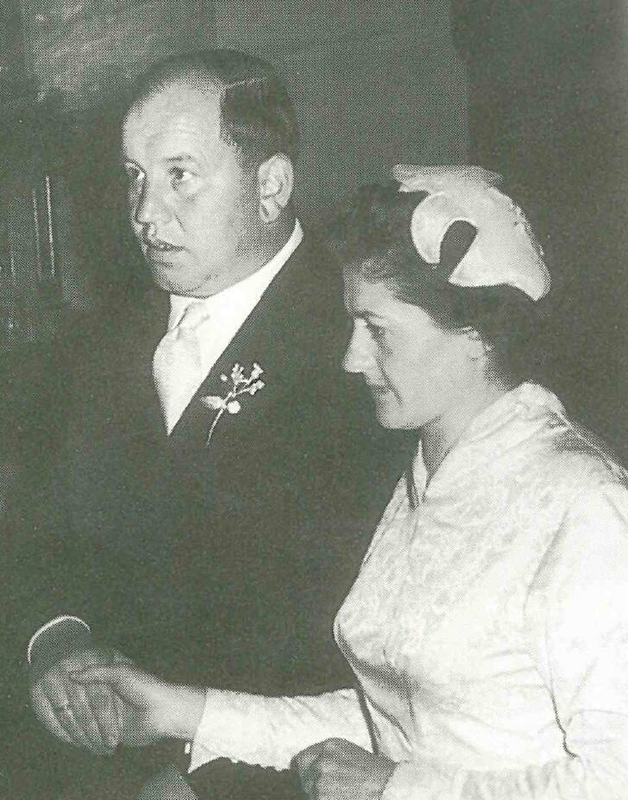 On 10 August 1916, a son is born to the married master bakers Jakob and Stefanie Falkner in Sölden. He is baptised with the name Johann Jakob Falkner – known as Buggls Hans. As the eldest of ten children, Hans develops his own approach to life and often puts his father’s nerves to the test. He also learns an economical way of living from him, however, and, even in his early years, the lad proves himself to be unconventional and far-sighted. Almost ten years later, on 16 April 1926, there is exuberant joy in Zwieselstein when a little girl is born to the married couple Valentin and Notburga Gstrein, the landlord and landlady of Gasthof Post. They have her baptised Margarete. As the third of four children, Margret has a sheltered life growing up in Zwieselstein. As the first-born son of a master baker, Hans is also meant to become a baker, of course, to continue managing his parents’ business. But this doesn’t really give him much pleasure. The price of flour is controlled, people don’t stop by for a chat and the beloved wine is missing, too. One day, 14yearold Hans is meant to go to see a cow up for sale and returns with five purchased animals, to his father’s great anger. But he enjoys his side job as a cattle trader and demonstrates great talent for it. After the death of his father during the Second World War, Hans is allowed to return from the front to Sölden, to take care of the family with his mother, Stefanie. 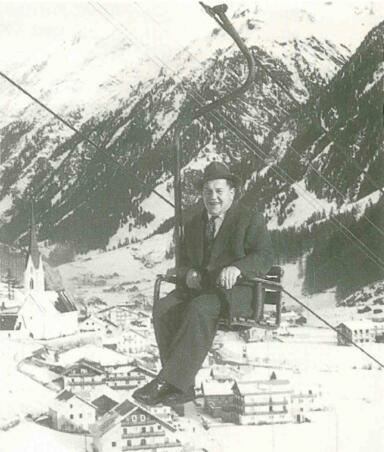 When the only ski lift in Sölden goes bankrupt in 1948, Hans takes it over. To keep the peace within the municipality, he involves two more families, laying the foundations for today’s cable car empire. The friends Hans Falkner, Hermann Gurschler and Martin Riml, also known as “the three hussars”, demonstrate entrepreneurial skills and a special gift for improvisation at the beginning of Tyrol’s tourism wonder. For instance, coal from their own business is exchanged for cement to be able to build a lift, and the engine of a discarded tank serves as a drive unit. In 1955, they found the Seilbahnen Sölden-Hochsölden ski lift company. Although Buggls Hans lives his whole life according to Churchill’s motto “No sports”, he realises his vision of winter tourism in Sölden. 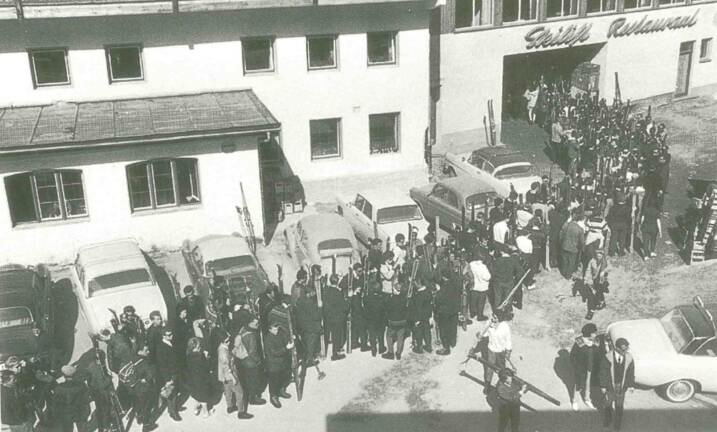 1948 also sees the opening of Café Bergland by Hans and his brother Dr. Valentin Falkner. 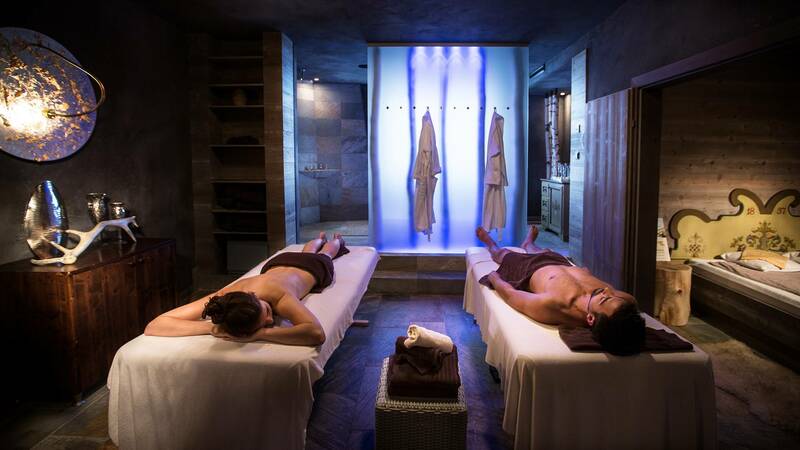 The small inn, which has no accommodation facilities at first, gradually becomes one of the leading hotels in the aspiring winter sports metropolis of Sölden. The historical Bergland is the first hotel in the municipality to have an indoor swimming pool, for example. The meetings of the three partners often last a long time. The official part is usually short and unanimous, but the follow-up meetings in the restaurant frequently seem to have no end. Hans is never short of ideas. In 1972 he proposes to build a road up to the glacier in order to make skiing on the glacier possible. Here, once again, his long friendship with Regional Governor Eduard Wallnöfer – with whom he shares a passion for fine wine – is of benefit when it comes to realising this ambitious plan. Wallnöfer approves of the idea with the words: "Hans, make a start. One way or another we'll get it done." He would be true to his word. Hans also proves to be persistent with women. It’s not love at first sight for Margret, but Hans doesn’t give up and shows up in the restaurant in Zwieselstein increasingly often. The actual reason for his visits is not immediately apparent, so Hans and the landlord Valentin first have a few glasses at the restaurant table before Hans looks around for the pretty daughter. At last, he’s rewarded for his courting and Margret says yes. The two are very different, but complement each other magnificently. They both have a passion for playing cards in good company, for example. Margret likes to go hiking and is always given “permission” for this from her husband. The wedding takes place on 19 June 1956 in the parish church in Sölden. The wedding feast is then celebrated in Hotel Bergland. Margret gives birth to four children: Michael (*1955), Jakob (*1956), Angelika (*1959) and Elisabeth (*1966). While the mother becomes the haven of calm in the family, Hans is a strict, but also proud and generous father. The portly Hans simply can’t resist Margret’s good home cooking. Although he travels to take a cure by the Baltic Sea every year to fast for 14 days and lose excess kilos, his diet plans are quickly put on ice again after his return. Interior minister of the family, dolce vita man and "favourite son". Attended boarding school in Feldkirch during which time his father Hans would often say to him: "Remember, Michael, only spend the money you have." But, despite his father's words of wisdom, he was often short of money and would ask his mother for help. 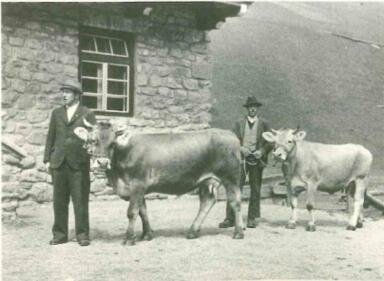 "Mike" has now been running the Fleischhof Oberland farm (founded by his father in 1969) since 1973. 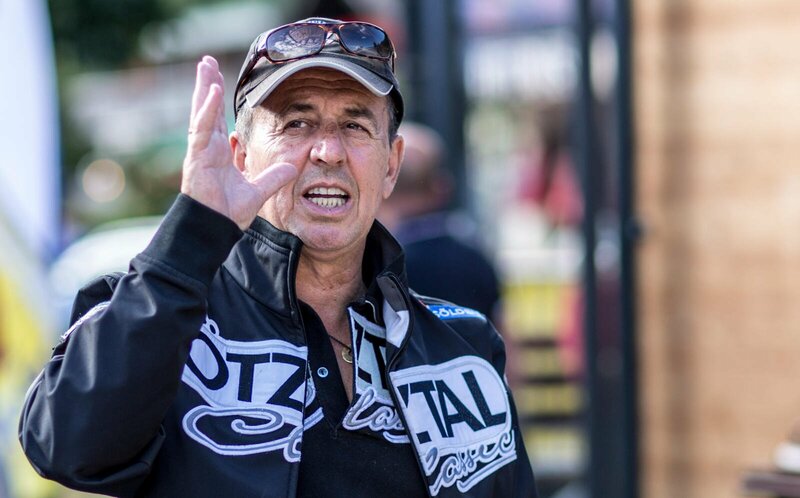 He is the chairman of the Ötztal Classic Car Club, is married to his second wife and has three daughters. Known as "Jack since his school days, Jakob is the foreign minister of the family. He is a freedom-loving bachelor with a flat in the Hotel Central (owned by his sister Angelika). From his father he inherited a passion for newspapers and travelling, as well as vision and determination. After his schooling at the Gymnasium Paulinum in Schwaz, Jack worked for the Bergbahnen Sölden ski resort and is today the co-owner and manager of the resort. One of his favourite mantras is: "Tourism never stands still." "Geli", as she is known to the family, likes to sleep in and was famous as a child for missing the school bus to Längenfeld. 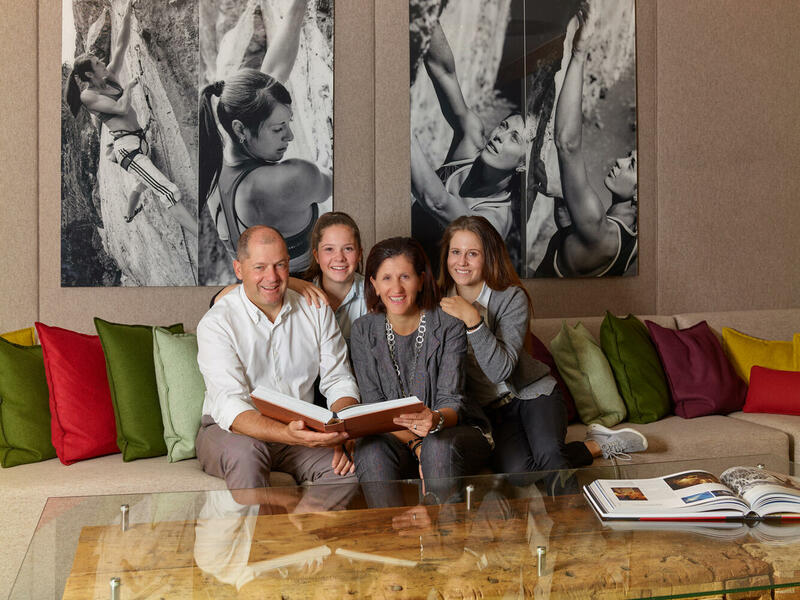 Nevertheless, she is determined and after completing her schooling at the Villa Blanka hotel school she worked as a volunteer and completed several internships in Austria and beyond. 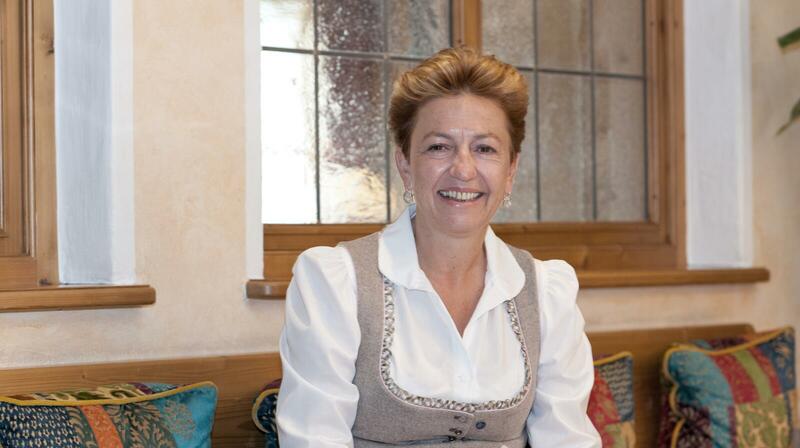 Today Geli is the manager of the five-star hotel in Sölden, "Das Central", which was opened by the Falkner, Riml and Gurschler families in 1969. At Herbert Gurschler’s wedding in 1998, Elisabeth meets the nature lover Sigi Grüner. 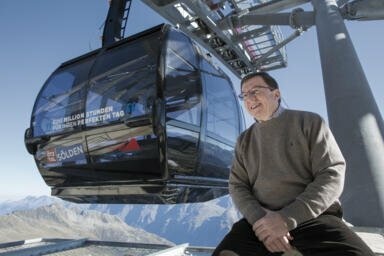 After growing up on a small sheep farm in the locality of Plör, he spends the first twenty years of his life far away from the centre of Sölden, skiing and mountain biking. 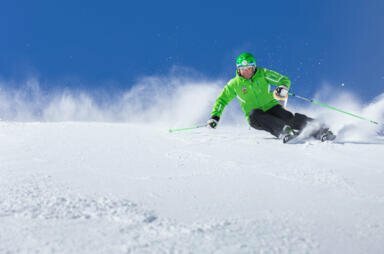 At the age of 16, he begins a carpentry apprenticeship, and at 20 he takes the opportunity to work as a ski instructor in Australia, New Zealand, the USA, Canada and Japan. In addition, his achievements include becoming the world champion in the Canadian Powder 8 five times and Synchro Ski World Cup winner twice with his friend Christoph Brugger. 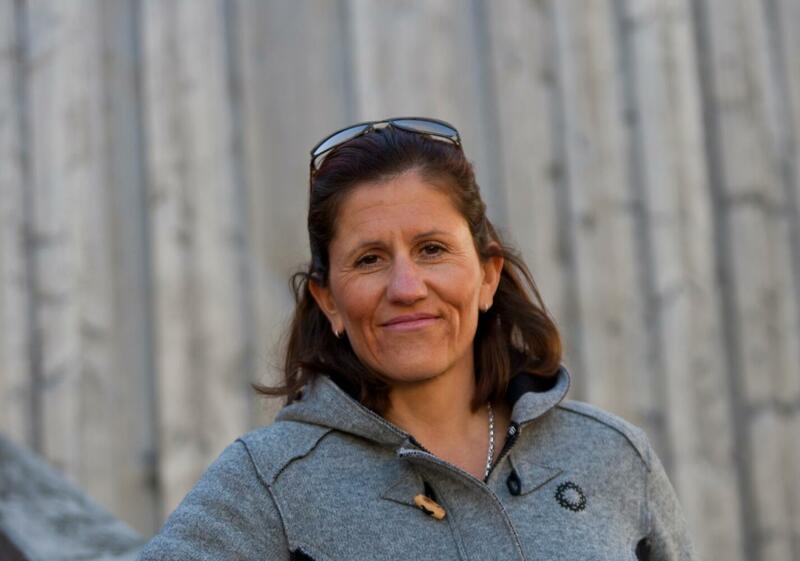 After ten years of adventure, Sigi returns to Sölden to film a TV advert. He meets Elisabeth in the Hotel Central and it is love at first sight. Somehow we didn't run into each other for more than 30 years. It's funny – when you travel the world you don't expect to end up marrying your next door neighbour!" However, before the wedding (registry office in 2001 and church in 2003) the two have plenty to do. 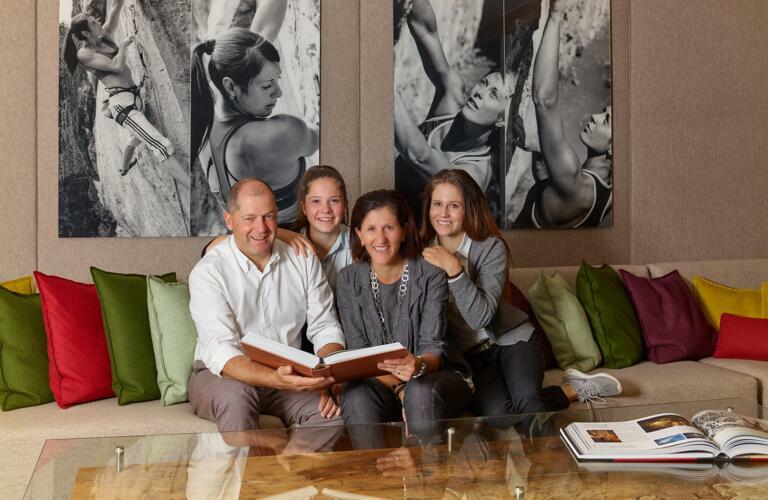 In 1999 they take over the running of the Bergland Hotel from Elisabeth's parents and have two daughters named Sara (*1999) and Anna (*2001). After a planning phase of two years including a call for tenders won by architects Wimreiter Partner GmbH the old building is demolished to make way for a brand new Hotel Bergland. This radical step enables Elisabeth and Sigi to create their own atmosphere and look in the new five-star "design hotel" – the first business in the Ötztal Valley to be awarded this title. Always in search of ways to improve guests' holiday experience, Elisabeth and Sigi decide to expand the restaurant in summer 2017. "Das schwarze Schaf" opens in October 2017 and offers space for 40 more diners. And what about the other members of the family? Sadly, Hans Falkner was not able to see the completion of the new Hotel Bergland. He died on 25.6.2009 at the age of 93 in Sölden. On 16 April 2016 Margret celebrated her 90th birthday in the hotel. We have put together this brief history of the Hotel Bergland to honour her. After all, everything we do revolves around people. We love welcoming guests to the Hotel Bergland and do everything we can to make sure they have a great holiday with us.